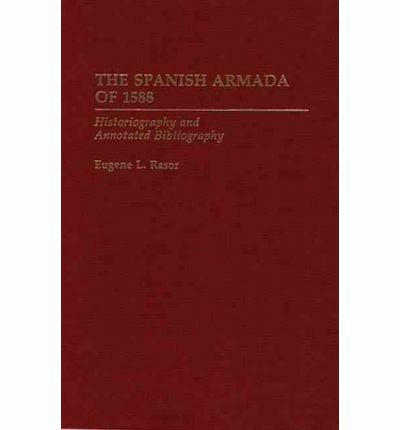 This is the most comprehensive bibliography of the Spanish Armada of 1588 in recent years and the only up-to-date reference which provides a critical assessment of important source materials and an annotated bibliography of all genres of literature in Western languages. Eugene Rasor describes 1114 titles and is the first to assess the vast collection of writings that have accompanied the recent 400th anniversary of the Armada campaign. Cross-references from the narrative to bibliographical entries and a full index make the guide easy for researchers at all levels to use in their study of naval and European history. This authoritative reference covers one of the most important campaigns in naval history. The first part of the book consists of a narrative assessing the literature on the Spanish Armada in terms of background, history, leaders, preparations and tactics, and the consequences of the conflict. Source materials include all published books, monographs, official histories, government publications, dissertations, bibliographies, pertinent journals and periodicals and related articles, collections of archival and research sources and their locations, other significant holdings, published and broadcasted interviews, fiction, drama, and art. English, Spanish, French, Dutch and other Western languages are covered in a comprehensive manner, and both English and Spanish perspectives are presented carefully. The book also offers a short chronology. The index cites authors and subjects both.